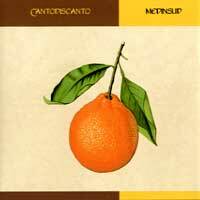 Notice: New Cantodiscanto CD Malmediterraneo is now in stock! Cantodiscanto is: Guido Sodo (guitars, mandolin, mandoloncello, oud and voice); Silvia Testoni (voice); Paolo Caruso (hand trap-set, darbouka, udu, berimbao, drums); Roberto Bartoli (double bass) and Guglielmo Pagnozzi (clarinet, alto sax). With guest artist Faisal Taher on vocals. Our music is inspired by a gaze towards the South. First and foremost towards the South of Italy, where we have studied in-depth both the traditional and classical repertoires. The South from which we come and to which we are attached, the South to which the language our songs are written in belongs: Neapolitan. South America is a source of inspiration for us as well, and it's present in our music with its rhythms and harmonies. Our gaze is turned towards another South as well, a South of the world that brings together those who live in hardship or in a state of emergency by the will of the few who decide, where the people continue to sing out their love and their desire to be free; our song lyrics refer to this: fragments of stories, travels, meetings that mix past and present in parallel with the music. The Arabic lute is the father of the plectrum instruments like mandolin and mandoloncello. The singing of an Arabic muezzìn is similar to that of Neapolitan tammurriate (whose sings accompanied by a drummer, in honour of the Virgin Mary). In Medinsud the Palestinian singer Faisal Taher and Cantodiscanto work together to integrate an Arabian style - and Arabian language - into the context of Neapolitan music. Faisal Taher was born in Cisgiordania. He has worked in Italy as singer since 1980, where he has played with the group Kunsertu with Paolo Fresu, as well as in several theatral works with the Ente Autonomo Teatro di Messina. He took part at the film Il bagno turco and L'amante perduto for the cinema and he has sung in the TV series La piovra for RAI-TV. His style is typical of the powerful voices used by Arabic muezzìns. Cantodiscanto has held concerts in Italy and abroad, participating among others in SognaBologna, the Busker's Festival in Neuchâtel and in Ferrara, the summer series Settembre a Somma (artistic direction by Nuova Compagnia di Canto Popolare), Musikalischer Sommer in Baden-Baden, and the series for Italian ethnic music Cap Sud held in Belgium. In 2001, the group participated, among others, in the Carpino Folk Festival, Notte della Taranta in Salento, the Festival di Montalcino-Val d'Orcia, and Le vie dei Canti in Milan. The group also toured Portugal with the Festival Sete sòis sete luas. In 2002, they participated in a performance commemorating the Pilastro massacre, entitled Le paure da riconoscere. In 1992 the group was awarded the Premio Nuovo Sud in Crotone, and in 1994 they won the Premio Città di Recanati, transmitted by RAI-2 and by Radio-RAI, contributing to the winners' CD entitled Nuove Tendenze della Canzone d'Autore V, produced by Musicultura and distributed by BMG-Ariola. In 1997 they recorded their first CD, entitled Cercando la terra, published by Ermitage. Cantodiscanto has been featured on radio programs Lampi, Mediterraneo, and Turnée (RADIO-3), and on television programs on RAI-2 and RAI-3 in Italy. Abroad, they have been featured on Swiss television programs and on the radio station Catalunya Musica heard via satellite in various European countries. In 2001 they recorded the CD Medinsud for Forrest Hills ­ Harmonu Music, with the participation of Palestinian singer Faisal Taher. Cantodiscanto also contributed a song to the CD entitled Pizzica la Tarantula published by il Manifesto. Cantodiscanto has held concerts in Italy and abroad, participating among others in SognaBologna, the Busker's Festival in Neuchâtel and in Ferrara, the summer series Settembre a Somma (artistic direction by Nuova Compagnia di Canto Popolare), Musikalischer Sommer in Baden-Baden, and the series for Italian ethnic music Cap Sud held in Belgium. In 2001, the group participated, among others, in the Carpino Folk Festival, Notte della Taranta in Salento, the Festival di Montalcino-Val d'Orcia, and Le vie dei Canti in Milan. The group also toured Portugal with the Festival Sete sòis sete luas. In 2002, they participated in a performance commemorating the Pilastro massacre, entitled Le paure da riconoscere. In 1992 the group was awarded the Premio Nuovo Sud in Crotone, and in 1994 they won the Premio Città di Recanati, transmitted by RAI-2 and by Radio-RAI. Cantodiscanto has been featured on radio programs Lampi, Mediterraneo, and Turnée (RADIO-3), and on television programs on RAI-2 and RAI-3 in Italy. Abroad, they have been featured on Swiss television programs and on the radio station Catalunya Musica heard via satellite in various European countries. Guido Sodo (guitars, oud voice, mandoloncello) comes from Naples and graduated in classical guitar in Ferrara; he is the leader of the group. He has composed original music for several silent films restored by the Bologna City Film Library, which he performed live at their presentation at the Museum of Modern Art in New York, Pompidou Centre in Paris, in Madrid, in Bogota and elsewhere. He is also involved with the early music ensemble Acantus, with whom he has performed in concert at the Regensburg and Royamount Festivals, in the Temple Church of London and at the Sagra Musicale Umbra, a program of sacred music. Silvia Testoni (voice) is from Bologna. She has studied vocal technique with Candace Smith and has specialized in contemporary music with Luisa Castellani. She performed with various groups and as soloist covering music from Renaissance to jazz and has recorded several compact discs. She has also sung with Ivano Fossati and with the composer Nicola Campogrande. Paolo Caruso (tammorra, drums) is from Sicily. He frequented the Drummers' Collective of New York, has played with Vinx, Willy De Ville, Luca Carboni, the English group Urban Cookies Collective, Frontera, Funky Company, Sambahia, Mario Lavezzi, Stadio, Daniele Fossati, Gang, Alberto Solfrini, Nomadi, Paolo Rossi, Tosca, Vinicio Capossela, Vinx, Airto Moreira, Bob Moses, Frontera, Paolo Rossi, Tosca,. Roberto Bartoli (double-bass) was born in Imola (BO) and took his degree, specializing in the double-bass, at Pesaro Conservatoire. In Siena he studied composition and arrangement under Bruno Tommaso. He has been active in the Italian jazz milieu since 1975, playing in the Tomaso Lama Trio, and working with musicians such as G.Basso, G.Baiocco, M.Urbani, D.Schnitter, S.Grossman, C.Davis, J.Walrath, P.Fresu, B.Berg, M.Stern and Dom Um Romao e altri. He worked for several recordings with the labels Splash and Y.V.P. Guglielmo Pagnozzi (clarinet, sax alto) began studying as jazz musician and for several years he developed his interest in improvised music, klezmer, folk and Mediterranean traditional music. He composes music for theatre, the dance and cinema. He has collaborated and played with Gianni Gebbia, Roy Paci, Ernst Reijseger, Michel Godard, Antonello Salis, Lester Bowie, Famoudu Don Moye e and with theatral groups Teatro situazionautico Luter Blisset, Terzadecade, Amorevole Compagnia Pneumatica. All credit card orders are placed on a secure server. All contents of these web pages copyright 2003 FNI Multimedia / cdRoots unless otherwise stated. All sound files are the property of the artists and record labels, and are used with their express permission.